ELERTS See Say app screenshot for Charlotte Area Transit System. 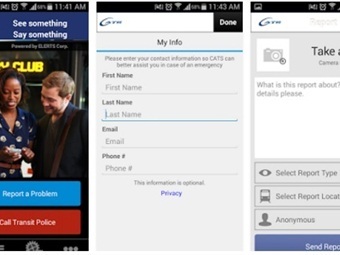 ELERTS has created a smartphone app for the Charlotte Area Transit System (CATS), which will enable riders to alert transit authorities about safety and security concerns on trains and buses. Beyond mere notification, the CATS See Say app enables riders to submit reports containing photos, video, and a description the issue, as well as a GPS map, pinpointing the problem area. A CATS dispatcher will be able to engage in a two-way dialogue with riders. “The ELERTS app provides another layer of security for riders and many thousands of extra sets of eyes and ears for transit and local police,” said Ed English, CEO of ELERTS. A similar ELERTS app is used by major transits, including MARTA in Atlanta, the MBTA in Boston, the NFTA in Buffalo, the VTA in Santa Clara and BART in San Francisco. By enlisting riders to report security concerns, the app acts as a force multiplier for transit police. 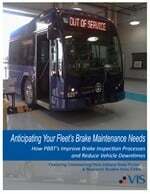 More than 2.5 million riders may use an ELERTS transit app daily. The ELERTS app for CATS transmits rider’s reports over cellular or Wi-Fi signals. The app automatically disables the camera flash when the user takes a photo, so it is discreet. Reports can be sent anonymous, if desired. Reports from riders are managed by the transit police dispatch center, using ELERTS management console. Two-way communication allows the dispatcher to ask riders for more details or to advise the rider. In addition, alerts can be broadcast to riders using the app. For example, the transit system may enlist the help of riders with BOLO (Be On the Look-Out) alerts for missing persons or persons of interest, and provide information about delays and service interruptions. The ELERTS app is designed for challenging communication environments. In the event that a cell or Wi-Fi signal is weak or non-existent, the app uses a store and forward model, delivering reports to transit police when signals reach usable levels. Available for iPhones and Android phones, the app may be installed at no cost to riders. ELERTS Corp., headquartered in Weymouth, Mass., develops emergency communication software empowered by community-sourced reporting of safety and security concerns.